There’s no doubt about it; we are facing really tough economic conditions in North Carolina right now. The last couple months have truly been devastating for anyone living in the middle to low-income brackets and even worse for the state’s long-term unemployed. When money is tight and you’re trying to put food on the table, it can become an uphill battle to keep up with massive mortgage payments. Once you fall behind and the mortgage lender begins threatening to foreclose, it’s only natural you’d be willing to try anything in order to keep your home…and that’s exactly what mortgage relief scammers are counting on. As mortgage rates continue to climb and the economy continues to dwindle, hundreds of bogus mortgage relief companies have pounced on the misfortune of others. In fact, these scammers have popped up all over the nation, including North Carolina. Things got so out of control with one mortgage relief company that the Federal Trade Commission actually stepped in last week and filed a lawsuit against three individuals - Ratan Baid, Madhulika Baid and William D. Goodrich - and seven separate affiliates in an effort to shut the entire operation down. A temporary order was signed by the court, closing the company’s websites and freezing their assets. The FTC is taking this one to trial, charging these defendants with violating both the Federal Trade Commission Act and the Mortgage Assistance Relief Services Rule, which bans mortgage any foreclosure rescue and loan modification service from collecting upfront fees until homeowners have a written (and acceptable) offer from their lender. The FTC filed its suit in federal court and, once granted a trial date, hopes to permanently close the doors on a massive mortgage relief scheme that victimized thousands of consumers. The company and its marketers are charged with blatantly lying to customers, offering legal assistance and forensic audits to homeowners who were facing foreclosure. The scam artists made huge promises of debt relief to customers, but, as usual, never delivered on any of their claims. Goodrich Legal Services, the “headquarters” for this wide-reaching scam, apparently made claims that they could help save homes from certain foreclosure and lower monthly mortgage payments to acceptable levels. Once they had a customer hooked, the company charged $2,000 to $4,000 for non-existent services that were completely based on bogus foreclosure rescue claims. Can you imagine getting a letter in the mail that, from all outward appearances, seems to be from the government, advertising a guaranteed program that would lower your mortgage payments and allow you to avoid foreclosure? For the thousands of people that bought into this mortgage scam, it must have seemed like a dream come true…at first. If you’re wondering what in the world a “forensic” audit is, the Goodrich website claims that it’s a great way to uncover violations that were committed by a mortgage lender. Once they are able to uncover these lending violations, Goodrich will use that information against them as a way to “to gain leverage in a successful loan modification.” Sounds a bit like blackmail, yes? 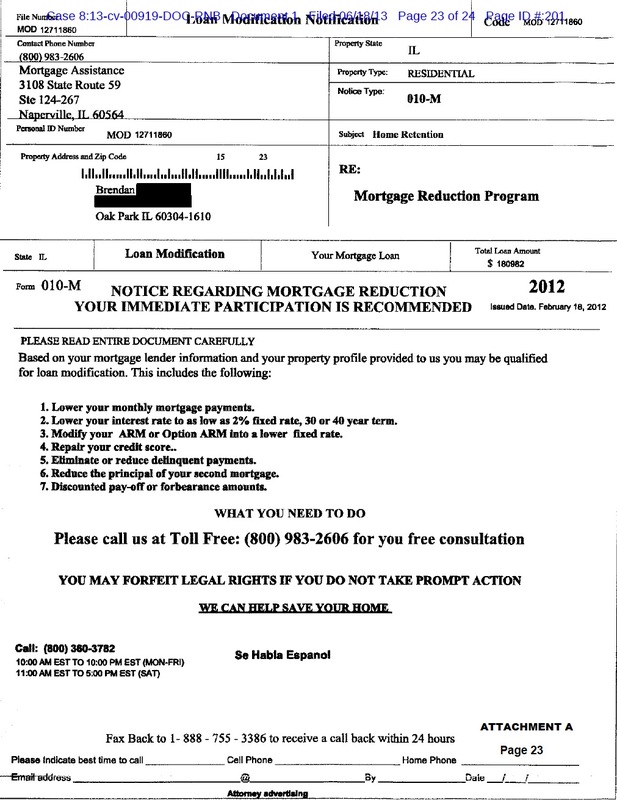 Once customers called the toll-free number on the mailer, they were “guaranteed” a mortgage loan modification that would lower monthly payments to affordable levels. They were also told that they could expect to see results in 60 to 90 days. 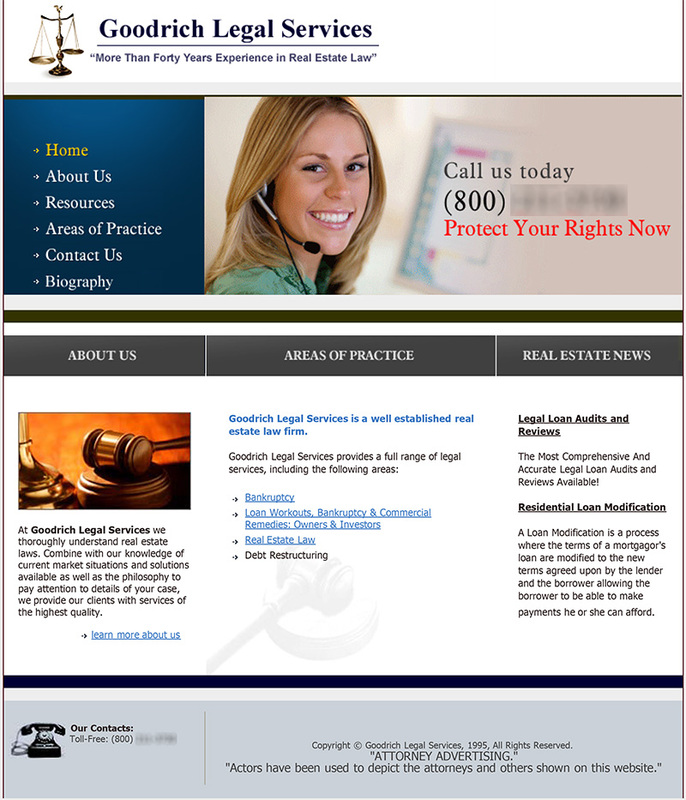 Taking the scam to an all-time low, customers were told that, in the rare case they did not see results, Mr. William D. Goodrich (an attorney) would be willing to use his extensive and intimidating legal experience on their behalf. Apparently, Mr. Goodrich would somehow be able to force lenders into lowering everyone’s mortgage payments using only his trusty law degree…or a Jedi mind trick. If you’re facing foreclosure in Chapel Hill or the surrounding areas, don’t waste your precious money on debt scams and empty promises. Schedule a consultation with an experienced North Carolina bankruptcy attorney and discover how Chapter 7 or Chapter 13 bankruptcy can truly help to save your home.